It’s tempting isn’t it? The company blog seems like an ideal vehicle to point readers in the direction of your products and services, and convert those prospects into customers. But stop before you get carried away! Is your blog really a sales pitch or product placement opportunity? Or could this approach result in a high bounce rate, dissatisfied website visitors, and ultimately a big, fat ‘not interested’ from those prospects you hoped to attract? Well the stats tend to bear this out. Put a sales pitch in a blog and 71% of readers are put off accordingly to research by the Economist Group. Moreover, a third of the business executives in the survey went as far to say that a sales pitch or product placement in a blog made them distrust the source of the content. That product placement you thought you could sneak into your blog post could be actually damaging your company’s reputation. Conversely, research has also shown that many people trust the content in a blog post even though it is obviously on a company website. So although you might think that a company blog has a bias – let’s be honest many do! – most visitors inherently trust the content until you draw their attention to your ulterior motive – a sale. WHY HAVE A COMPANY BLOG IF YOU CAN’T USE IT AS A SALES PITCH? First off you need to understand that a blog typically works at the top of the marketing / sales funnel. It’s primarily for prospects who are in the research phase of considering your product or services. Often at this stage they don’t even know they need your product – they’re looking for a solution to a problem or desire, but they don’t necessary know what that solution is. Therefore they’re after knowledge or inspiration, so they can make an informed decision further down the line. It’s estimated that as a result of digital transformation prospects today are almost 60% through the sales process before they make direct contact with a company. They’re surfing corporate websites looking at potential vendors; they’re asking questions or recommendations from their social media connections; and they’re consuming vast amounts of digital content in the form of videos, blog posts, whitepapers, podcasts etc. The research phase is your opportunity to build trust with prospects: to provide them with the information they desire that will help them make the right decision. Ultimately this could be to buy your product or services, but it may also help prospects self-qualify and not pursue your offering further. This can be a very positive thing – reducing the number of ‘timewasters’ who will never actually sign on the dotted line, or potential customers who either don’t have the budget or for whom your product is not a good fit. Forcing your product on prospects at this stage of the funnel is counterproductive, it’s not what they’re looking for and so they’ll go looking elsewhere for what they do want – your competitors who are putting out sales-free content. Instead you should be aiming for sales-free content that guides readers through your funnel, helping answer their questions and all the time positioning your company as the ‘go to’ source of content and insights on the subject. Another bonus of writing sales-free blog content is that people are much happier to share it with others. 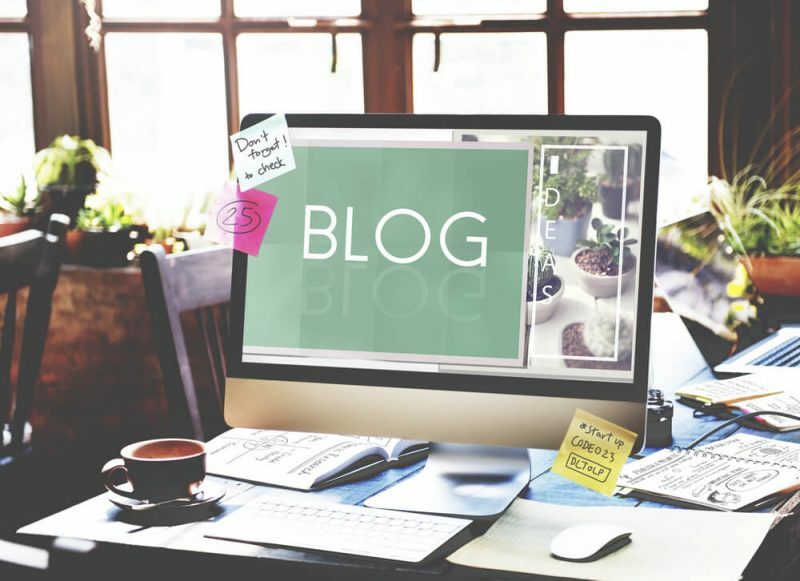 If a blog post delivers genuine value, either because it’s entertaining or helpful or both, it’s more likely that your connections – existing customers, social media followers etc. – will share it with their connections too. It also becomes a valuable asset for PR – we place many of our clients’ blogs in 3rd party publications where any attempts to include a sales pitch result in immediate rejection! The company blog doesn’t just operate at the top of the funnel, it can also be a great tool for keeping existing customers engaged with your brand or company, and for addressing some of the friction points a prospect might have during the sales process. It is also a great tool for pointing prospect towards lead gen content like a whitepaper or eBook, ensuring you capture valuable email addresses and get the opportunity to nurture those leads via email, direct mail or phone.